Boeing has manufactured more than 460 CH-47F Chinooks. Spain is one of 12 nations that has ordered the most current Chinook configuration. This is the first order from a non-US customer placed through a contract Boeing and the US Army signed in July. That contract covers six new F-models for the US and options for up to 150 more Chinooks for US and international customers. Deliveries to Spain begin in 2021. "The Chinook is a versatile aircraft flown by eight NATO nations, including Spain," said Chuck Dabundo, vice president, Cargo and Utility Helicopters and H-47 program manager. "With this contract, Spain's Chinook crews will enjoy the platform's current technology and capability, while the country gets an affordable upgrade that builds on its existing H-47 investment." The CH-47F is a twin-engine, tandem rotor, heavy-lift helicopter. 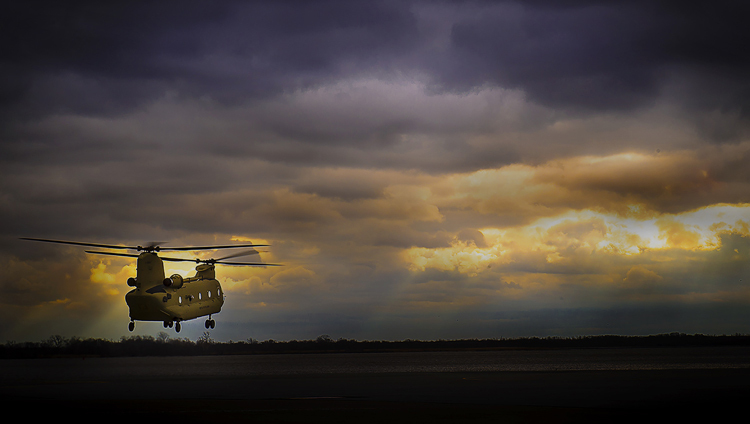 In addition to the US Army and Special Operations Forces, Chinooks are currently in service or under contract with 19 international defense forces. It can fly at speeds exceeding 175 mph and carry payloads greater than 21,000 lbs. In 2017, Boeing and the US Army announced development of CH-47F Block II, which will incorporate a new rotor blade, redesigned fuel system, improved drivetrain and structural improvements to the fuselage.